The Independent Lodge and its associated websites offer to students of philosophy an online correspondence course whose topic is “The Search for Discipleship According to the Teachings of the Masters”. The series of written lessons is regularly offered to students of any country, in English and Portuguese, since 2017. The second edition of the course took place in the first semester of 2018. The study is based on the Letters from Mahatmas and on the writings of Helena P. Blavatsky. The lessons use mainly texts and books published in our associated websites. The Independent Lodge believes that – regarding discipleship and spiritual Pedagogy – there is nothing comparable to the Mahatma Letters in the philosophical literature of all time. The viewpoint is examined in the article “Leaving the Masters Aside”. The study in “The Search for Discipleship According to the Teachings of the Masters” presents 10 weekly lessons. The date of the next course will be published in due time. Meanwhile those interested in it are invited to join the E-Theosophy e-group and start getting acquainted with the work of the Independent Lodge. 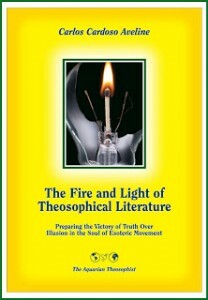 Membership in E-Theosophy can be obtained by visiting directly its website at YahooGroups: https://groups.yahoo.com/neo/groups/E-Theosophy/info. See in our websites the articles “The Making of ‘The Fire and Light’”, “The HPB Defense Project – 2016”, “A Timely Book for the New Age” (by Robert Kitto), “How to Obtain The Fire and Light”, “Buy ‘The Fire and Light’ Now” and “On The Fire and Light” (by Juan Pedro Bercial).